The Bible contains multiple men named Mark. The Mark that we celebrate today, on the Feast of St. Mark the Evangelist, might be an amalgamation of several Marks and John Marks in the New Testament. That doesn’t make our feast day any less meaningful – or edifying. 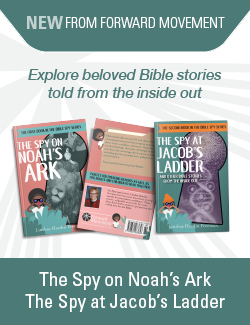 One of the most intriguing stories attributed to Mark is told in the book of Acts. It involves his relationship with Peter and Paul. Paul and Barnabas took Mark on one of their missionary journeys, but Mark turned back without explanation. When Barnabas was sent on another journey, he wanted to take Mark with him, but Paul objected. Holy Scripture leaves the story there: the Bible contains no tidy reconciliation. According to tradition, the relationship was later mended when Paul took Mark to Rome to see Peter. Peter then dictated the Gospel which we now attribute to Mark. After traveling to Alexandria and founding the church there, Mark was martyred by being dragged through the city streets. This is the story the church tells about our earliest members. This complicated story of Mark, Peter and Paul shows the messiness of their relationships. Even though they were direct followers of Jesus Christ, they had falling outs. They even may have stopped speaking to one another. Something about the saints having beef feels incredibly human to me and helps me to find myself in their amazing stories. And yet they also bear witness to the possibility for reunion and reconciliation. This year, I visited St. Mark’s Cathedral in Minneapolis, Minnesota for a Holy Week musical meditation. While there, I was struck by the sunlight that came through a window in the middle of the nave. 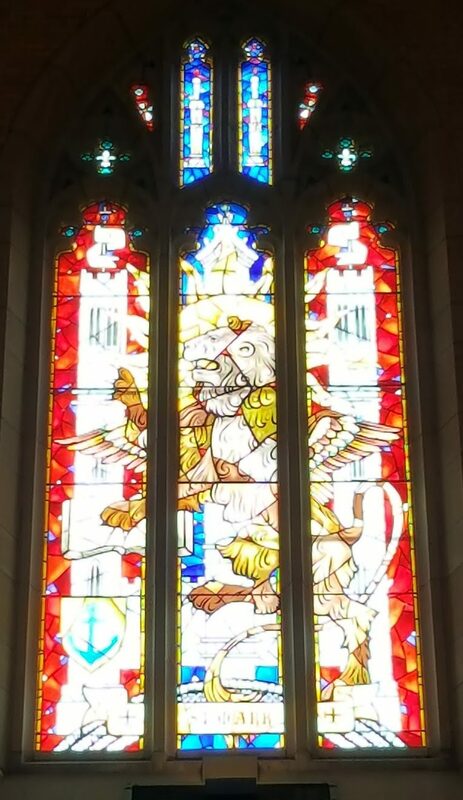 It was the window that depicted the winged-lion often attributed to St. Mark. The window itself was magnificent and breathtaking, but what moved me most was the sun shining through it – during Holy Week when we see the price God paid for reconciliation. Such union is possible through Christ. One of the traditions that is associated with Venice’s Festa di San Marco (St. Mark’s day in Italian) is the giving of a single rose to one’s beloved. The tradition began with a loving exchange between two lovers from two different social classes centuries ago. To me, this speaks of reconciliation across differences of class, differences bridges by Christ whose resurrection presents us with the possibility for new human communities. Teaching forgiveness and reconciliation starts early. We must not only instruct children in the practice, but to model it ourselves. We must model healthy conflict resolution, deep listening, and compassion so that our children learn to pick up on these as normal, healthy behavior. Couching this practice in the life of the saints is especially powerful when we see that even our heroes make mistakes. What is important is not perfection, but a willingness to make it right when we mess it up. Thank you for this wonderful and most reflective essay regarding the presence of Mark is a Christian history of the beginnings of the church. How appropriate that The Cathedral Church of Saint Marks is named after him.